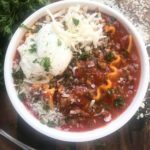 This Slow Cooker Beef Lasagna Soup tastes like a big bowl of lasagna and topped off with an herb ricotta cheese. A filling comfort food for cold weather! Italian food is a weakness of mine so I love finding new ways to enjoy it. And when it is cold out, you can bet that the hubby will absolutely be requesting soup of some kind. So I have been working on adding new soups to our rotation for a little variety. 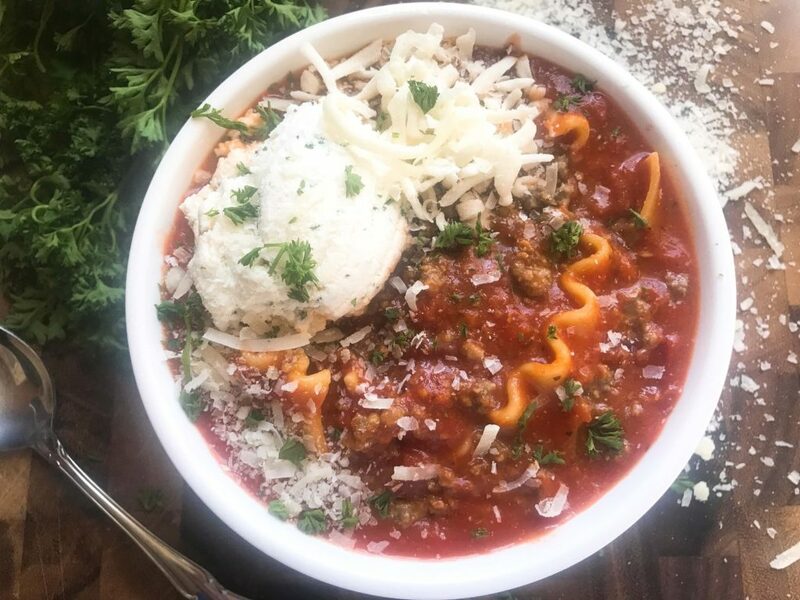 This Slow Cooker Beef Lasagna Soup is filling, hearty, and incredibly good! I love crock pot or slow cooker recipes because they are so simple for those crazy and busy nights. 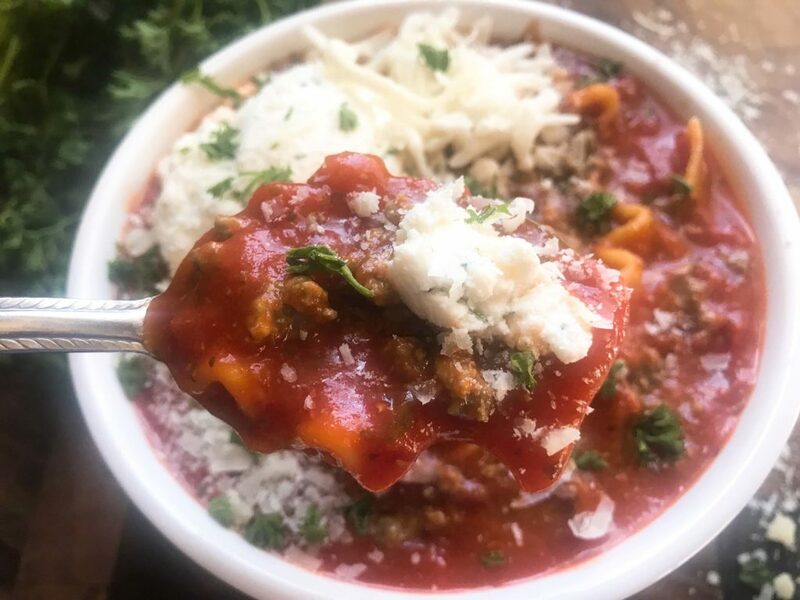 This Slow Cooker Beef Lasagna Soup is incredibly simple to make. Just dump all of the soup ingredients in the slow cooker and let it go all day! Then all you need to do is finish it off with some lasagna noodle pieces and cheeses. I highly recommend using a slow cooker liner whenever you cook in a slow cooker. I use them all the time and they make cleaning so easy! All of that caked on food that develops from the slow cook is captured in the liner, making clean up incredibly easy. Grab a slow cooker liner here! I could never not use these again. I like to keep my cheese in a specific spot so that I can go in for a big glob of it as I want to. And then the cheese starts to melt a little into the soup and it just creates a silky, yummy, soup that reminds me of a saucy lasagna. And I am definitely a sauce lover. But the hubby loves to mix it all in right away! 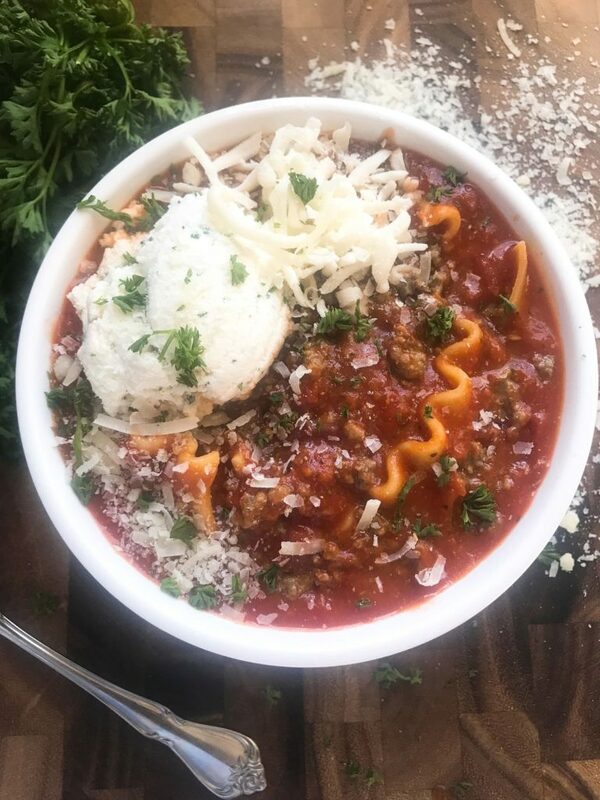 This Slow Cooker Beef Lasagna Soup with Herbed Ricotta is a new staple in our cold and busy night recipe rotation! 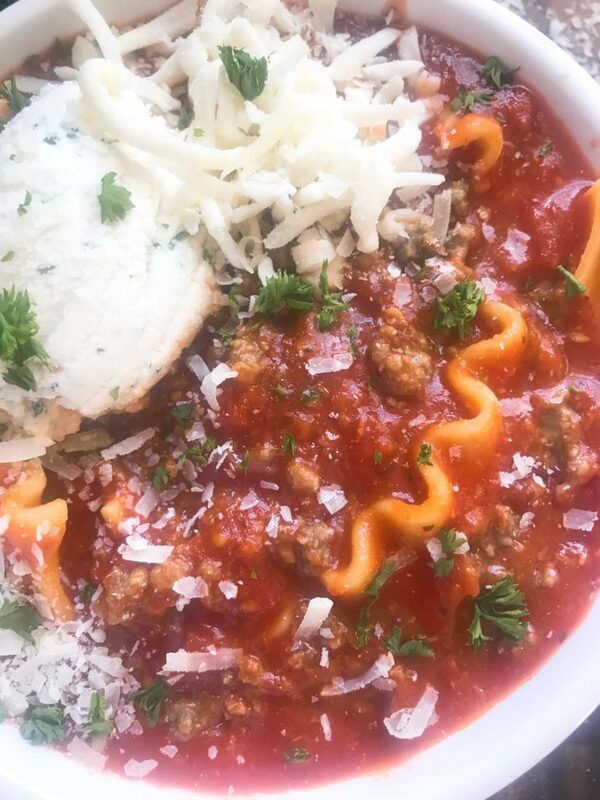 A hearty twist on classic lasagna as a soup. 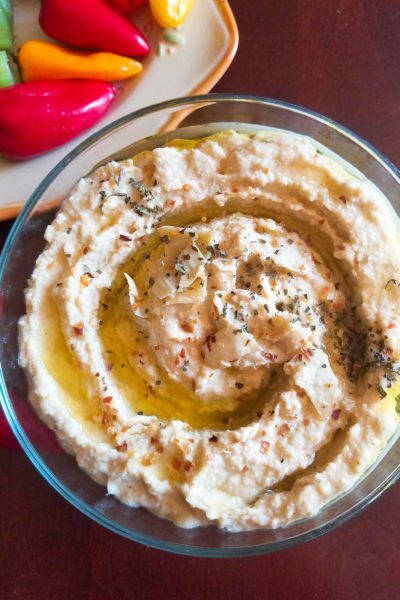 Simple to make in a slow cooker for cold nights. Brown the ground beef in a skillet over medium heat until it is completely cooked through. Drain any fats off of the beef. In the slow cooker, combine the cooked beef, onion, garlic, crushed tomatoes, tomato sauce, diced tomatoes, stock, dried basil, dried parsley, red pepper flakes, and salt. Stir to combine. Cover and cook in the slow cooker for 3-4 hours on high or 7-8 hours on low. When you are about ready to serve, break the lasagna noodles into one inch pieces (they will expand a lot when cooked). Cook the noodles in boiling water on the stove until al dente as per package directions, approximately 7-9 minutes. While the noodles are cooking, make the herbed ricotta by combining the ricotta cheese, fresh parsley, fresh basil. Season to taste with salt and black pepper. Add the cooked noodles to the soup and let them sit in the soup on warm for 5 minutes for the flavors to combine. If the soup is too thick, add some additional water or stock until you reach your desired consistency. Season to taste with salt, black pepper, or red pepper flakes. 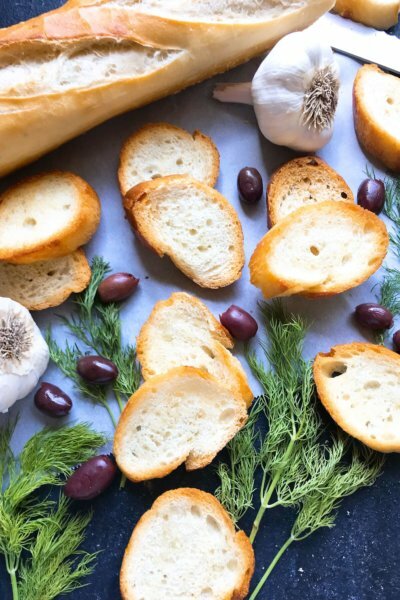 Serve with the herbed ricotta, Parmesan, mozzarella, or cheese of choice. 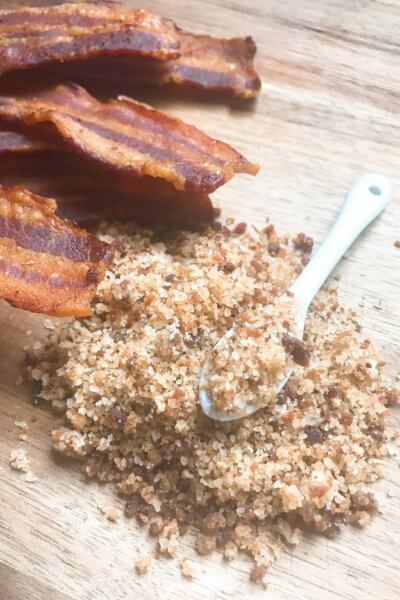 You can add the ground beef raw and it will cook, however all of the fats you would drain off will end up in the soup and could potentially make it greasy. Easily switch out the broken lasagna noodles for any shaped pasta. Make cleaning easy with slow cooker liners! 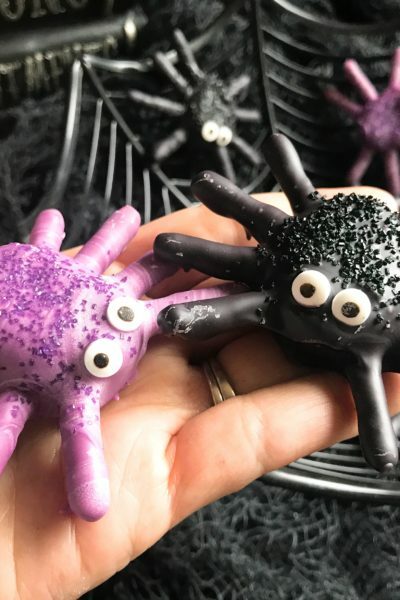 Grab some here!